In today’s competitive environment, marketeers need to reach their audience through a variety of media platforms and strategies. Microwave Journal provides a broad portfolio of products with the greatest return on investment through the leading media brand and largest print subscription in the industry. Contact our sales offices for more information. 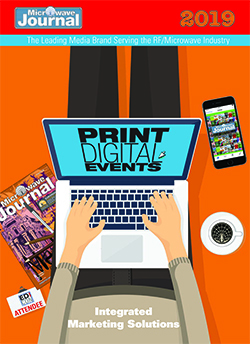 View advertising opportunities in our May issue!